Organization of urban and rural health care services, 641 diagnostic health camps and camps for the labour force and for senior citizens and 154 blood collection drives. Participation in National Health Programmes such as Pulse-Polio Immunization, Tuberculosis Control Programme and Leprosy Eradication Programme. Adoption of villages for providing diagnostic services and effective health care. All types of sophisticated investigations such as MRI, CT Scan, Mammography, Colour Doppler, Ultrasonography, 2D Echo, Special Procedures, e.g. Dialysis, Endoscopy, Colposcopy, Lithotripsy, EEG, NCV, etc. are carried out free of cost for indoor patients. Free health check up camps have been conducted for some social groups that are especially vulnerable to health problems such as traffic policemen, rickshaw drivers, stone quarry workers, street children, Anganwadi children, etc. The commonest killer infectious diseases being of the respiratory system, we are conducting an anti-spitting campaign for few years. The activities include road shows, newspaper articles, poster competitions, quiz, and health education. Free counseling and services are offered for TB patients, asthma patients, HIV patients, geriatric patients, teenagers to address their specific issues. A MoU has been signed with International Longevity Centre-India (ILC-I) for various activities of Senior Citizens. Which includes a workshop on “Planning for Retirement”, to address the emerging challenge of the 21st century, namely the Longevity Revolution. The staff members of the nursing college in collaboration with Tata Motors, Pimpri conducts training of Village Health Guide for three months. The course included basic health needs along with first-aid treatment and care of antenatal and postnatal mothers and newborns. 3 Medical facilities and treatment were provided at minimal prices. 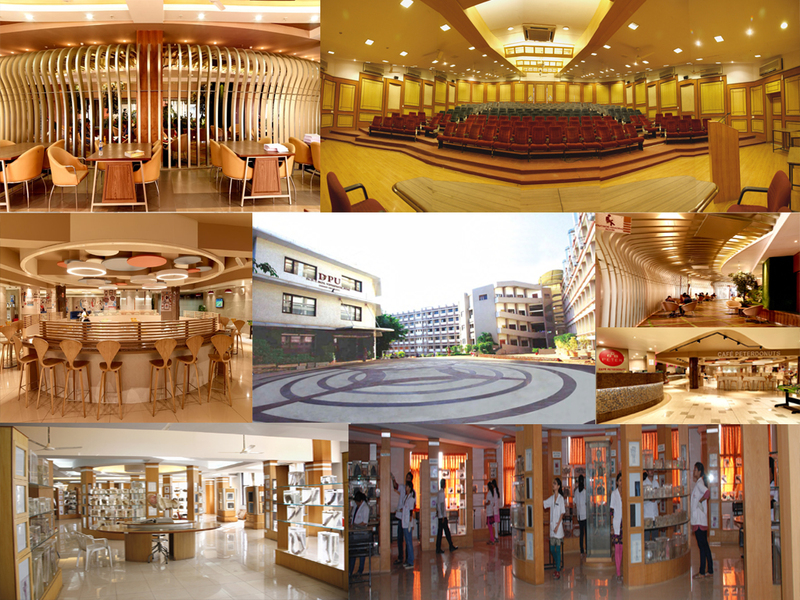 Free medical facilities and treatment amounting to about 3 crores annually is provided by the Vidyapeeth.